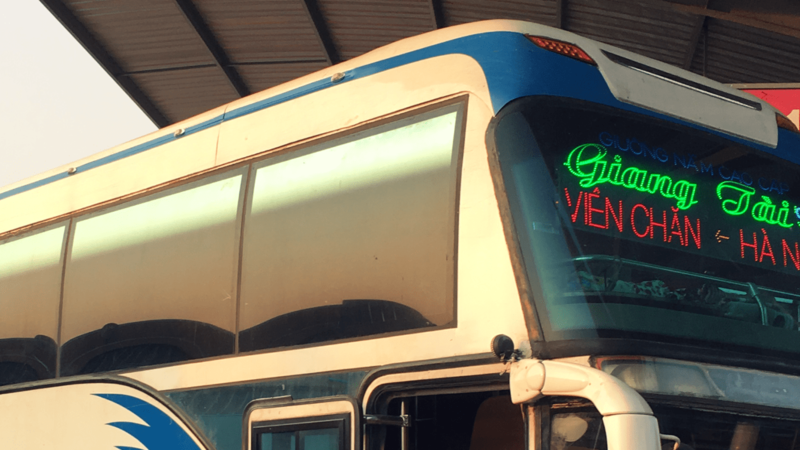 Despite our best intentions to capitalise on all the cheap flights we saw advertised, I feel like we took a crazy amount of buses in Vietnam. Mainly because they are ridiculously cheap but also because we are hopelessly disorganised and never managed to book flights far enough in advance for them to be cost effective. Case in point – when I first looked flights from Da Nang to Ho Chi Minh on our dates were a mere £15 per person… by the time we sat down to book them it was going to cost £116 for both of us to fly. I struggled to find examples of itineraries I liked when preparing for three weeks in Vietnam. There are lots out there for two weeks, and even more for four weeks due to most people opting for either the free 15 day visa or the entry level 30 day visa. Whilst some examples of three week recommendations were available, none entirely ticked our boxes so we decided we’d share ours. Now don’t get me wrong, we loved Hanoi. From our beautiful little hotel in the old quarter to the amazing food, crazy streets full of mopeds whizzing past you and historic sights, we had a great 4 nights here. We did feel however, that we were constantly either getting scammed or narrowly avoiding it, more so than any other place we’ve visited with the exception of maybe Marrakech which was also pretty terrible.